We're light on the tech news in the week before the holidays, so why not talk about Steve Jobs' newly impounded yacht? The sleek $138 million (UK£85.36m, AU$132.45m) craft is currently bobbing listlessly in the Port of Amsterdam, where it will remain until its designer is paid the $3 million (UK£1.86m, AU$2.88m) of a $9 million (UK£5.57m, AU$8.64m) fee he claims is still owed to him. French designer Philippe Starck had the yacht, affectionately named Venus, impounded in the Port of Amsterdam, a spokesperson for Starck confirmed to the BBC that the craft is not allowed to leave. "The parties will have to fight it out," the spokesman, Jeroen Ranzijn, reportedly said. Since Starck and Jobs were apparently close, it seems based on Friday's report that there may not be a contract detailing Starck's exact payment. Starck's lawyer, Roelant Klaassen, reportedly said to Reuters, "These guys trusted each other, so there wasn't a very detailed contract." 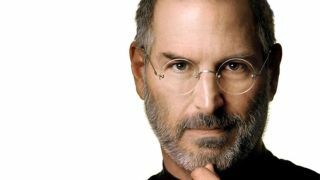 According to the BBC, both Starck and representatives of Jobs' estate were not willing or available to comment. The Venus itself is 260 feet (80 meters) long, with enormous windows and a reportedly "minimalist" design. Starck has described it as "showing the elegance of intelligence." It's unclear what the Jobs' heirs plan to do with the boat.